Concrete is already known for its durability and as a material that is able to withstand high traffic so what better way to improve upon your decision to install concrete than by adding beautiful designs for your flooring. This is a superb way of adding a unique element so underscore your personal aesthetic. Port St Lucie Epoxy Pros has decades of experience providing exceptional decorative concrete installation to residential and commercial property, turning a mundane floor into a showpiece with “wow” factor that you will enjoy for decades. Transforming your regular concrete with decorate designs can turn a plain slap of concrete into a one of a kind piece of art that is custom designed for you and not duplicated anywhere else. Concrete is already an easily maintained material and it requires very little time and energy to ensure that is lasts its entire lifetime. For ensuring that it remains beautiful you don’t need to conduct any polishing or apply any special chemicals to coat the surface and anytime the surface needs to be cleaned, you just need to use soapy water. For your decorative concrete to remain beautiful, it is recommended that you apply a sealant every few years to that you can ensure it remains as fresh at the day it was installed. 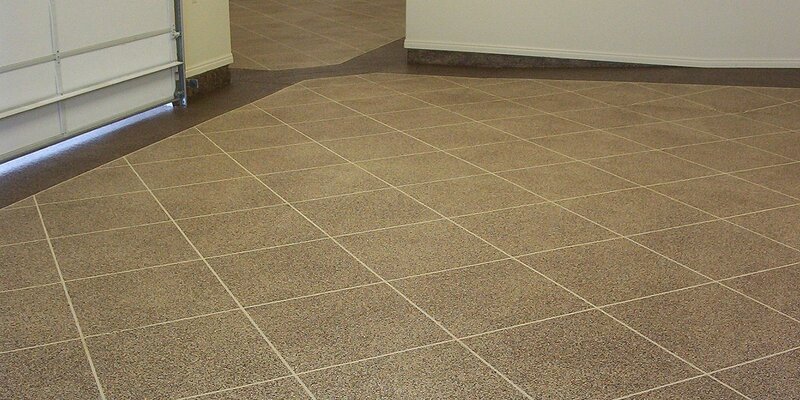 Overall, because decorative concrete is so easy to maintain, you will have saved a great deal of time, energy and money. Using concrete has a great many benefits and it is very popular because it’s beauty and durability. It has a unique appeal because they design options are as endless as your imagination. Whether you are have traditional design aesthetic or a more funky or modern twist that you want to achieve you are able to achieve stunning designs, textures and special effects that many other flooring materials cannot attain. Decorative concrete is flexible in the way and you can even create effects with color by adding dye or stains to achieve a custom made color that has a unique appeal like no other property in your community. Concrete has the great quality of a durable lifespan. It is a material that is able to withstand high traffic of people and vehicles when you hire a decorative concrete flooring contractor that is highly skilled and knowledgeable about the mixing process to ensure high grade concrete installation. Concrete has the ability to withstand strong weather conditions that cause many other materials to deteriorate, which can cost you a great deal of money to repair. This is often unacceptable to homeowners who have already invested significant resources into a flooring project. The features of concrete as a durable material are unbeatable when you consider how affordable it is to install and the easy maintenance. Port St Lucie Epoxy Pros offers clients beautiful decorative concrete flooring that can match the aesthetic of any discerning homeowner. When you want a showpiece floor decorative concrete might be the solution that offers you originality while at the same time providing you with a feature that is affordable and easy to maintain.